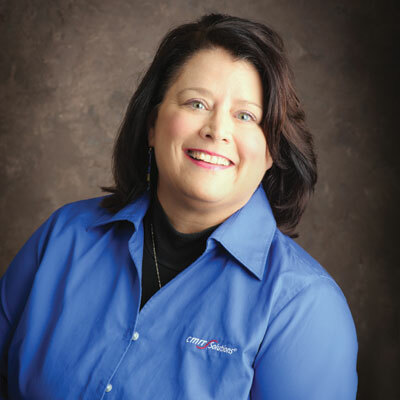 Director of Marketing, CMIT Solutions, Inc.
Cindy Phillips serves as the Director of Marketing, leading the product management team, the end user demand generation team, and all product and marketing initiatives for the CMIT Solutions system. Cindy holds a bachelor's degree in Chemical Engineering and an MBA with an emphasis in marketing. Cindy lives in Austin, Texas with her husband and extended family. Cindy personally helped advance our channel business by delivering a new corporate website designed to drive end-user leads, increasing sales and adoption of products across our portfolio. Cindy also led the cybersecurity assessment team and designed a security controls focused approach to the delivery of privacy and security assessments firms with less than 100 employees. Our primary goal is to fully launch our CMIT Secure initiative, including the CMIT Cybersecurity Assessment process and the multi-layered security protections for any security conscious client. Our secondary goal is to transition from being an MSP to MSSP, with the same attention to training, process, and procedures that we used when we became HIPAA compliant in 2013. Cindy admires the singer-songwriter Susan Gibson, a Texas native who wrote "Wide Open Spaces", recorded by The Dixie Chicks. She believes every father and daughter should listen to Wide Open Spaces and reflect on the journey they will make together through life. No matter what your age, we share a path with the high stakes of dreams we follow and create together. Write a song every day. You'll get better. Don't write every song in the key of G. Experiment. Go to open-mic nights. Songwriting will help you process your feelings, maybe as well as a haiku. And keep those little scraps of paper when you write, for you will enjoy reading them later in life. Cindy would love to be a data ninja, spinning Tableau data cubes across the office. Seriously. She wants to learn either Microstrategy or Tableau and crunch mass quantities of sales and marketing data, sifting the data into golden wisdom. Midnight Crossroads by Charlene Harris was my favorite book of the year. Charlene managed to bring everything I loved from the Sookie Stackhouse world and drop me into a new world in Midnight, Texas with new characters and mysteries. I can't say more for fear I'll give something exquisite away. Just go get the book for a delightful diversion.